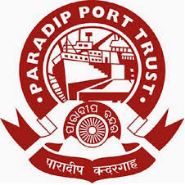 Paradip Port Trust intends to engage the Dy.CMO (Specialist) Pediatrics,Surgery, Anesthesia, Orthopedics, ENT & Radiology, Senior Medical officer, Dy.Marine Engineer , EIC Tug ,Pilot on contract basis. 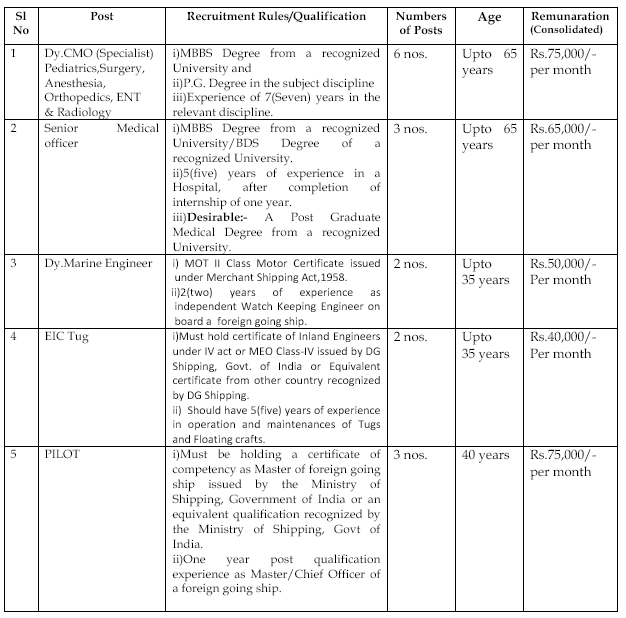 The contract Period is of one year and extendable further based on the Performance.In the case of PILOTs, contract Period is of 3 years and selected candidates will have to undergo training for at least six months and pass the required tests as prescribed in the PPT Regulation.Interested candidates may please Walk-In with their Curriculum vitae, original certificates of qualification and experience etc. and a format copy enclosed herewith, duly filled in on 15.07.2017.Refer Advertisement No.AD/RSC-I-21/16/2013(Pt.I)/2221 for further details. For Further Details go through the Official Notification before applying for the post.